During my tasting round at the Alto Adige Wine Summit in Bolzano I stopped at the Alois Lageder stand. Clemens Lageder and I struck up a lovely conversation about the old vintages of Alto Adige and the feedback he had been getting from visitors about these, the previous day; the opening day of the summit. Since wines with character were the topic of our conversation, it felt quite reasonable to also ask him about the progress of their Assyrtiko project. My friend Stefan Metzner had first written about the Alois Lageder Assyrtiko venture on my website Karakasis mw. 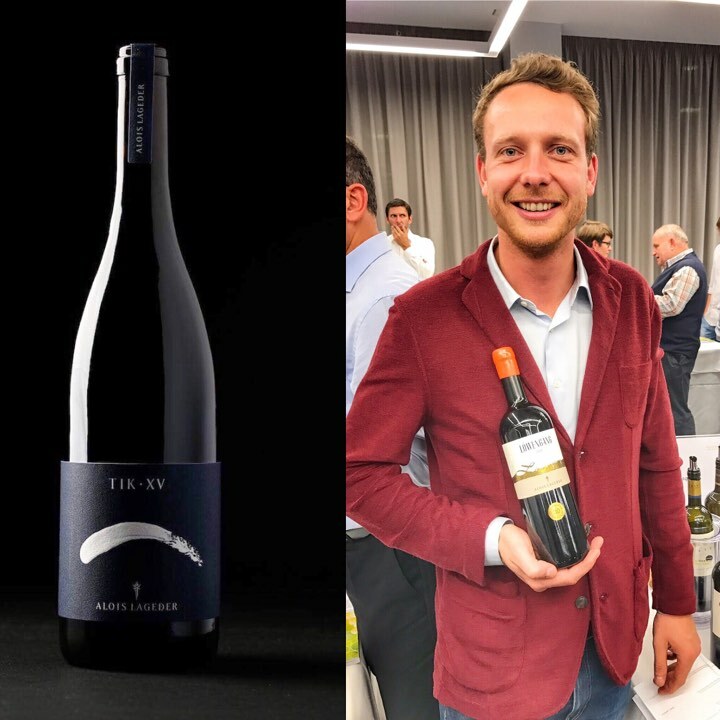 You can read the original text at the following link: An Assyrtiko from Alto Adige and Alois Lageder. Well, the good news is that the wine has now been commercially released, and is included in the winery's Comets series. Wine legislation forbids reference of the variety on the label, this is why the wine has been named TIK, to allude to AssyrTIKo. The vines are planted on slopes, at 300 m altitude, on gravelly, sandy soils, rich in limestone. Technical data - Alcohol: 12.5% by vol, Residual Sugar: 0.4 g/l, Acidity: 5.3 g/l. The must is partially fermented on the skins and stems for three weeks and is then aged in a used barrique for several months (around 18 months). Lageder might produce another Assyrtiko in future. In 2016 it was not possible, as the conditions for the grape were not favourable, yet it might be a possibility for 2017. Clemens comments that ''we still need to wait how the wine gets at the end. But anyway, we will for sure try every year to produce an own wine out of it. If we will then release it or not it is a decision to be taken at the end. It's a comet. It might shine or but it could also disappear''.